Shortly after Verizon and T-Mobile updated their Samsung Galaxy S8 and S8+ to Android 8 Oreo, Sprint is now doing the same thing. In fact, at least a few Sprint Galaxy S8 owners received the Android Oreo update yesterday, March 17. The update weighs in at about 1.5 GB, breathing fresh life into Sprint’s Galaxy S8 and S8+ (both released a year ago with Android 7 Nougat on board). Just like the Oreo update for Verizon’s and T-Mobile’s versions of the two ex-flagship phones, the one that Sprint is rolling out includes the Samsung Experience 9.0 interface (which comes pre-installed on the brand new Galaxy S9 series). If you haven’t received a notification alerting you about the Oreo update, you can always manually check for it on your Galaxy S8 via Settings -> Software update -> Check for updates. 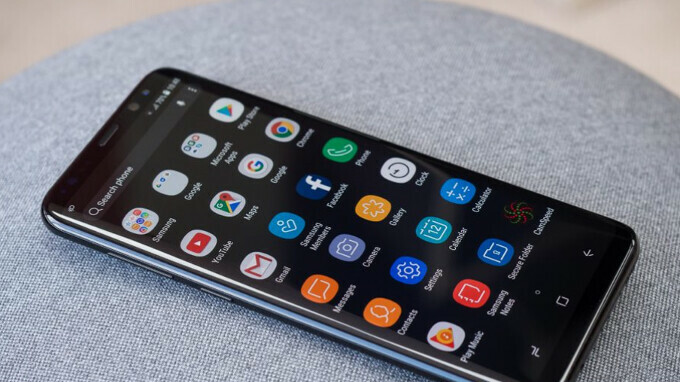 As things stand now, AT&T remains the last major US carrier to update its Samsung Galaxy S8 phones to Android Oreo, but we hope it’ll do it in the near future. P.S. : In case you're wondering, the Samsung Galaxy S8 Active - available on Sprint, AT&T, and T-Mobile - has not received its Android Oreo update yet. That's awesome how you can schedule the install. Wondering if that's still possible with iphone or did that feature got axed on iOS? I just saw this in my settings. I will give an update once I download/install it and run through it a bit. Got it yesterday. Software seems to be more snappy. Like the new features Oreo brings. Battery life seems to be somewhat better than before especially since the Oreo update brings the new feature that tells you which apps are using up power. I really like the updated interface. The contrast is centered a lot better, and it's as though the UI has even centered the viewing angles, in contrasts to viewing everything from a curved axis; making all content curve /bend with the edge(s) . Quick update. This phone is so much more smoother. Gotta remind myself to check out videos on all of the improvements and additions. Color me impressed so far. Edit: Samsung Experience is snappier than Nova Prime. Awesome.